Lausanne, Switzerland, June 3, 2015 - Twenty matches in eleven cities around the world: the stakes are raised in week four of the FIVB Volleyball World League. Arguably the biggest match of the weekend takes place in Long Beach where defending champions USA take on Olympic gold medallists Russia, who will aim to recover from two losses last weekend. In Group 2, a Low Countries derby between the Netherlands and Belgium promises fireworks with both teams still undefeated. “This is only the beginning of our season, we will show what we are capable of,” said Russian captain Andrey Ashchev after his team's two opening defeats against Poland. It sounded like a call to arms for the two matches in the USA on Friday and Saturday. However, the Olympic champions face an extremely tough challenge. They are still without some of their top players and USA were in dazzling form against Iran, winning both matches 3-1. The statistics do not bode well for the Russians either. Last year, they lost both their preliminary round matches in the FIVB World League in the USA (0-3 and 2-3), even if they did still manage to progress to the Final Round. “Matches against Russia are always a massive challenge,” said US coach John Speraw. His team, built around stars Matt Anderson and last year’s MVP Taylor Sander, tops Group B with six points and could take a big step towards the Final Round with another two victories. The same goes for World Champions Poland (5 points), who host Iran (0) in the group’s other top match. “I’m happy to see our great fans again in Czestochowa. The matches against Iran will be at least as tough as those against Russia,” said Polish captain Michal Kubiak. 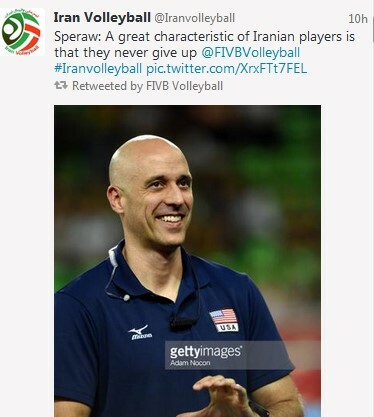 After their two defeats against the USA last weekend, Iranian captain Saeid Marouf spoke of the “worst performance in the last two or three years.” This weekend, the emerging Iranian team will be out to keep their hopes of qualifying for the Final Round alive, with at least one victory against Poland. 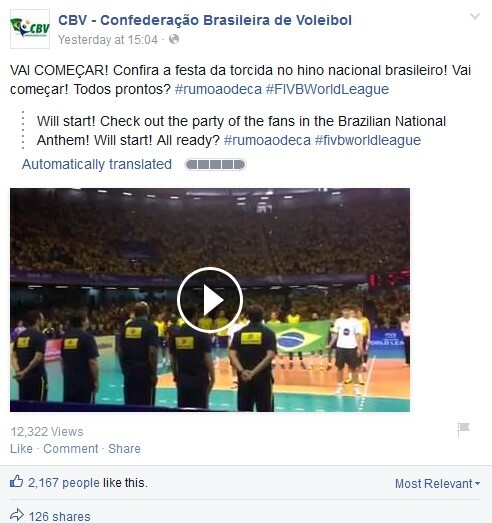 The two top teams from each of “super pools A and B” plus host country and world number one Brazil – hungry for new titles after silver at the FIVB Volleyball Men's World Championship Poland 2014 and in the FIVB World League last year – will play at the competition's big final at the Maracanãzinho in Rio de Janeiro from July 15-19. The final ticket goes to the winners of Group 2. As hosts, record World League winners Brazil are guaranteed a place in the Final Round. However, they are still taking the preliminary round very seriously. Two opening wins against Serbia (3-1 and 3-2) were proof of this, and the “Selecao” also go into this weekend’s clash with Australia as odds-on favourites. The Brazilian fans are once again expected to carry their team through the matches on a wave of enthusiasm. Group A’s second match of the weekend pits pool leaders Italy (6 points) against Serbia (1) in a true classic. Serbian captain Dragan Stankovic expects a fierce battle: “I believe that we will improve a lot in the next few matches”. 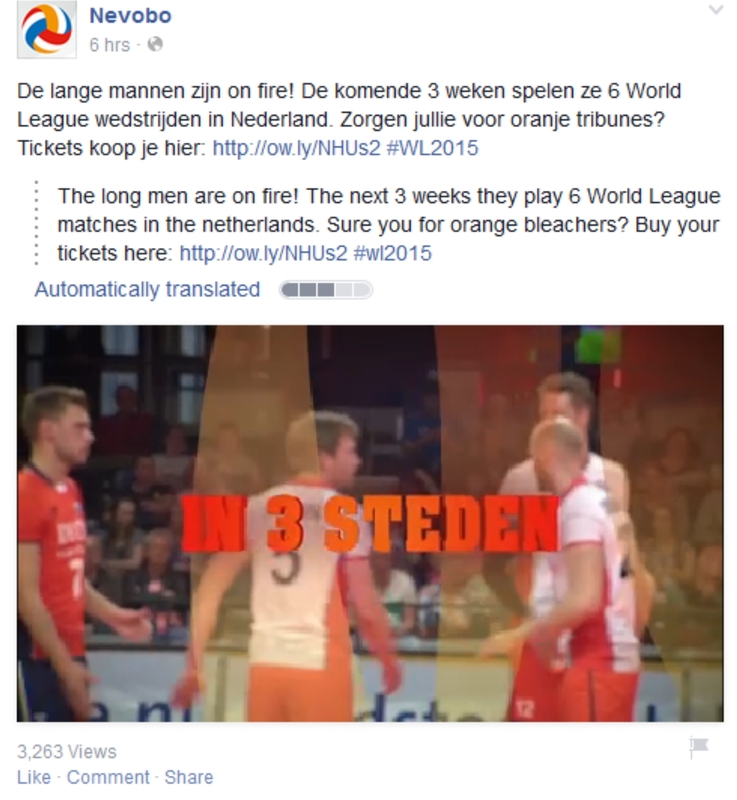 Undefeated teams from Belgium (10 points/4 wins) and the Netherlands (5 points/2 wins) have made perfect starts to their FIVB World League campaigns. The two teams meet in the highlight of this weekend’s Group 2 matches in S-Hertogenbosch. The Netherlands go into the derby with plenty of momentum, having successfully qualified for the European Championship. In the other match in Group E, the two winless teams from Finland and Portugal will be scrapping for their final opportunity to have a say in who wins the group. The other two pools in Group 2 also feature potentially decisive matches. In Pool C, leaders Canada (10 points) host rivals Argentina (4). In Pool D, Japan (4) take on the undefeated French (6), who finished fourth in the Polish World Championship last year. The fourth week of the FIVB World League also throws up fascinating duels between Cuba and Bulgaria (Pool C) and Korea and the Czech Republic (Pool D). 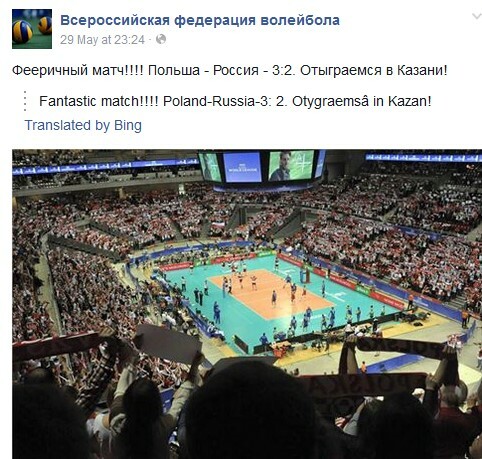 The 26th staging of the FIVB World League includes a record 32 teams – four more than in 2014. They will battle for the most prestigious annual men's title in a competition which this year spans a record ten weeks.